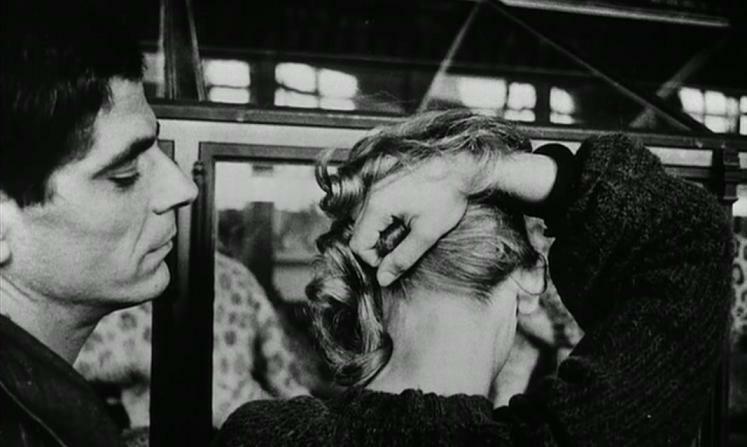 La Jetée – Un photo-roman de Chris Marker (a photo novel of Chris Marker) is a highly influential science fiction film. Communicated in the form of still images, it is a tale of time travel having a central objective of describing philosophical issues relevant to time. The film’s runtime is only 28 mins and has poignantly served as a benchmark and reference point for several of the distinctive filmmakers of unique caliber to delve deeper into uncharted territory, into unfathomable flight of the imagination. In the book: Sculpting in Time, Tarkovsky describes the transcending propensity of an Image, its composition and effects, “The image is an impression of the truth, a glimpse of the truth permitted to us in our blindness. 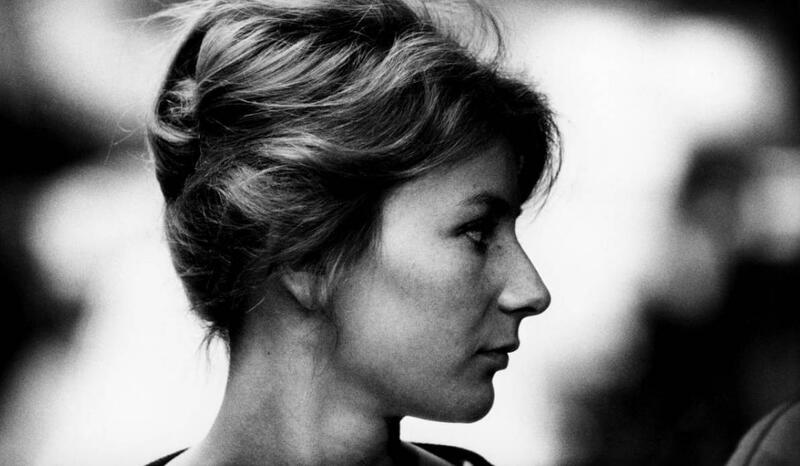 The incarnate image will be faithful when its articulations are palpably the expression of truth, when they make it unique, singular – as life itself is, even in its simplest manifestations.” And the same is reflected in La Jetée which is profoundly and irrevocably, a true work of art. 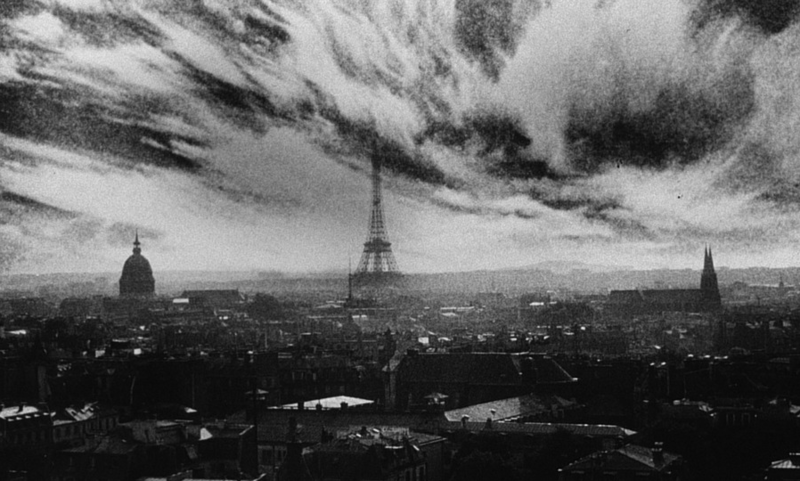 La Jetée is the story of a man marked by an image of his childhood. A looped narrative, which kick offs with a stunning image of a child standing on the main pier at Orly, Paris Airport, the kid sees a man dying which deeply upsets him whose meaning he grasps only years later. He distinctly remembers the scene; the sight of a frozen sun, Of a stage setting at the end of the pier and of a woman’s face. Soon after, World War 3 grips the nation and Paris is reduced to rubble. The survivors stay underground because above them everything is rotten with radioactivity. The woman’s face is his only hope which brings him peace which he carries with him through the whole of wartime. Nothing tells memories from ordinary moments. Due to high toxic levels, Human race is on the brink of extinction. Space is off limits, for that reason, the prisoners who stay underground are subjected to time-travel experiments in order to reach food, medicine, energy. The purpose of the experiment is: to throw emissaries into time… to call past and future to the rescue of the present. The outcome of these experiments are disappointing, for some leading to death and for others madness, because “To wake up in another time meant to be born again as an adult and the shock would be too much”. Consequently, the inventors start to spy on prisoner’s dreams; their ulterior movie is to select people who have very strong mental images. Finally, they select a person who is glued to an image of his past. They begin their experiments on him, initially it leads them to nothing and the hero neither dies nor gets mad, he only suffers. On the 10th day, images begin to ooze like confessions. On the 16th day, he is on the pier at Orly. Empty, but he recollects an image in which he notices a girl who could be the one he is looking for, also he sees another image, her face in a car, smiling and On the 30th day, they meet. He is in the middle of dateless world, which first stuns him by its splendor. Around him, only fabulous materials: Glass, plastics, terry cloth. The hero provides the inventors with superior experimental result; therefore they persistently send him back to the time. With series of tests, he regularly meets her at different times. They go on countless walks, that which manufactures an unspoken, unadulterated trust between them, with no memories and no particular plans Time builds itself painlessly around them. She calls him her ghost. As for him he never knows whether he moves towards her, whether he is driven, whether he has made it up, or whether he is only dreaming. On 50th day, they meet in a museum filled with ageless animals , he is now in the right moment and decides to spend it in a very relaxed fashion, in which he decides to move without any trouble from the inventors. But sooner or later he is transported back into the laboratory and owing to brilliant test results, the experimenters decide to send him to the future. When he lands in the future, he realizes that it is better protected than the past and the people of future bluntly turn down his offer to be a component of their present. However, he successfully reminds them “since humanity had survived, it could not refuse to its own past the means of its own survival.” Therefore, they award him with a strong power plant that would put all human industry in motion again and will help the humanity to bring the life back to normal. The inventors are now capable, knowledgeable of withstanding and surviving a nuclear war and therefore the hero is thrown into other camp where he waits to be executed because his services will not be required any longer. He had been a tool in their hands. His childhood image had been used as a bait to condition him. Deep in his limbos, he gets a message from the future world that they are ready to accept him as one of their own but he requests them to transport him to his childhood, to the woman who is waiting for him at the Orly Airport, only to know that this haunted moment he had been granted to see as a child, was the moment of his own death. Colored by poetry, and stirring our souls like a revelation the movie clearly derives its inner strength from its simplicity of images that are expressed in unique, actual facts. It clearly elucidates that, you do not need to have any modern gizmos or incorporate any surplus hitech technology to create an aura that corresponds science-fiction. It also throws light on the special quality of our own memory- about its capacity of investigating, discovering unexplored areas. The movie also lays emphasis on how overwhelmingly the childhood experiences adversely impact the later life, shape the persona. Attached with ascetic narration and with infinitesimal details, the movie manages to reverberate the soul with elevated emotions, setting of impulses that automatically inquire on the authenticity of its concept, thus stemming the discussion: ‘what is real’?